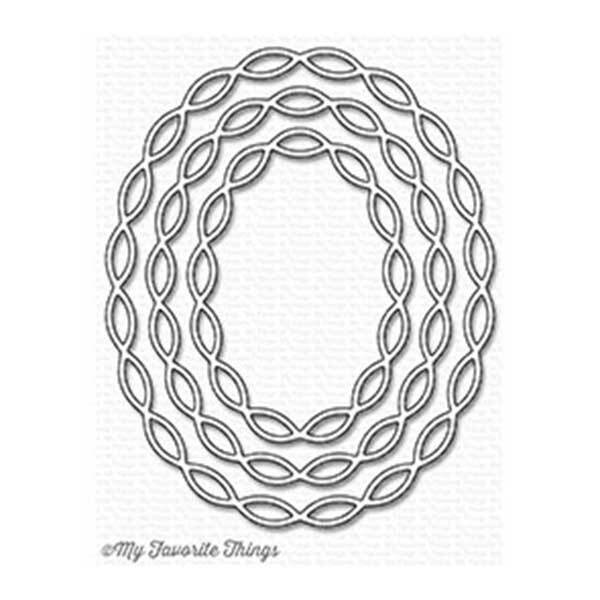 Linked Chain Oval Frames die set by My Favorite Things. 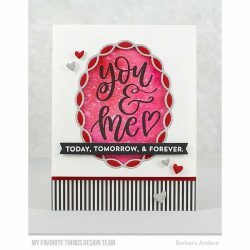 This inventive trio of frames provides a dainty framing option for images, sentiments, and peek-a-boo windows in your card fronts. 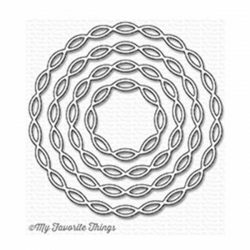 The linked chain edge detail adds interest without overwhelming your finished look. 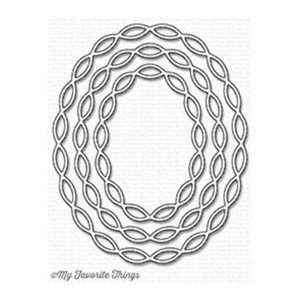 Three sizes ensure you’ll have the perfect frame for any application.